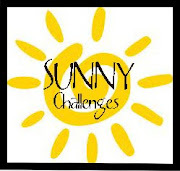 All sunny challenges will be postponed and we will return after a short break. I am so sorry to hear about your Grandfather passing away.....Praying for you and your family .. Please Take care. Condolences & prayers for your grandfather & family. Sorry to hear of your loss. Stay strong and take care. I am sorry to read about your grandpa -I am sure you will miss him very much - I sent my condolences to you and your family at this sad time. Sorry to read about this...I hope you feel better. I will pray for you and your family. Sorry to hear this, Anushka. Thinking of you and please take care.